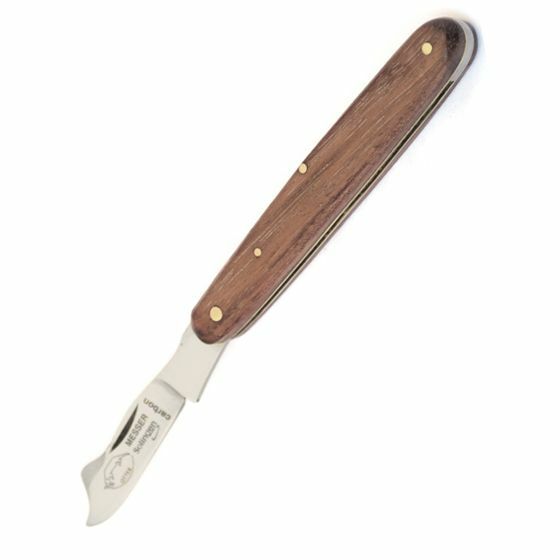 Otter Messer folding pocket rose grafting knife, 118HZ, made in Solingen, Germany. Measures 10 cm closed, 4 cm, chisel grind, C75 carbon steel, horticulture - budding blade. 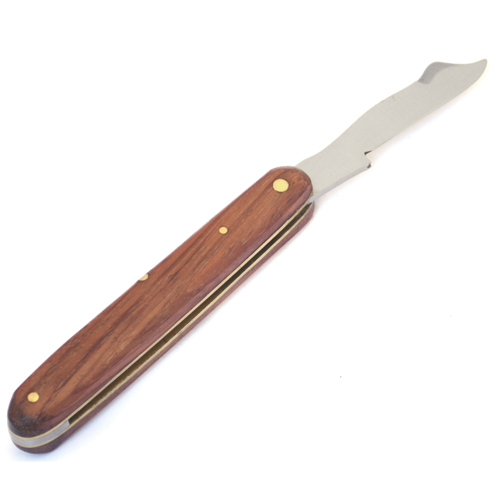 Natural Bubinga wood handle scales, brass handle liners. C75 carbon steel has a fine molecular structure and gives an extremely sharp, long lasting cutting edge. Grafting knife for roses with a specially shaped false edge behind the blade tip, used for bark lifting when inserting a plant graft. 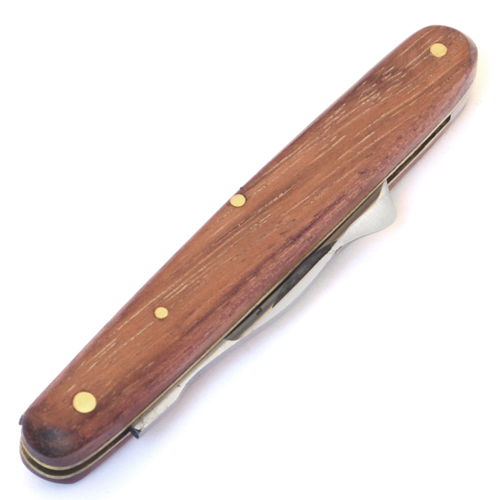 Note: Carbon steel knives need to be cleaned and oiled after use to prevent corrosion. Surface corrosion can be removed with fine sandpaper.